We would like to notify you that the countries of Europe will switch to winter time on 30th October, 2016, whilst the USA will make its switch to winter time a week later, on 5th November, 2016. In connection with this the trading schedule will undergo some changes: FX , CFD, Commodities instruments will be closed on Friday an hour faster. MEMBERS AREA IS CURRENTLY UNDERGOING SCHEDULED MAINTENANCE. Our TemplerFX Members Area is currently undergoing maintenance, so please don’t worry that you can’t log in at the moment. Upgraded members area will be at your service by 24/10. 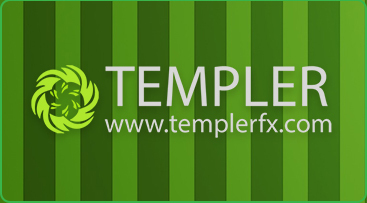 If you have any questions about the new members area, please emailsupport@templerfx.net for assistance. All current and new TemplerFX clients are eligible to take part in TemplerFX's 2016 Autumn Bonus Campaign. Qualifying clients earn a 10% bonus credit on all deposits between October 3rd 2016 and October 28th 2016 up to a cumulative bonus amount of $15'000 per account( $30'000 per customer). Get an extra +5% (+15%in total) Bonus for Wallet One™, PesaPal, Interkassa and Fasapay transfers , 3%( 13% in total) for PayAnyWay™ transfers and +2%( 12% in total) for Payment via SST/payment terminals! trades of CFDs for oil futures and BO contracts(#BRENT, #WTI) will be closed from 20:30 EET. names are functioning in "CLOSE ONLY" mode. Besides ,we've added 7 more commodity,indices and shares CFD binary options symbols for more diversity and more profitable trading. By adding those 7 symbols we've expanded the list to 35 symbols. We're eager to expand the list further for better servicing of your needs. Celebrating 7th anniversary of Liqpay TemplerFX is happy to introduce new "Liqpay Bonus" campaign. Qualifying clients earn a 10% bonus credit on all deposits between August 08th 2016 and August 26th t 2016 up to a cumulative bonus amount of $2500 per account. Please note that Bonus is granted to 3D secured USD cards transfers made using Liqpay payment system only. For transfer, please, select Interkassa payment gateway. The "Liqpay Bonus" is intended for trading purposes and will enable clients to support their positions for a longer period as well as give clients the option to trade a larger volume. We have upgraded our FX LITE plugin by adding a new multi account manager (MAM) module that will be of great benefit to professional traders as well as asset/money managers. This new features allows you to place orders for a chosen financial instrument on several accounts.Therefore, saving time for those who either implement different strategies or handle their clients' accounts. All current and new TemplerFX clients are eligible to take part in Templer's 2016 Summer Bonus Campaign. Qualifying clients earn a 10% bonus credit on all deposits between July 4th 2016 and July 29th 2016 up to a cumulative bonus amount of $15'000 per account( $30'000 per customer). Get an extra +5% (+15%in total) Bonus for Wallet One™, PesaPal and Fasapay transfers , 3%( 13% in total) for PayAnyWay™ transfers and +2%( 12% in total) for Payment via SST/payment terminals! For more detailed information contact our Customer Service team by phone +44 20 33557076 or support@templerfx.net from 8:00 CET to 21:00 CET, Monday – Friday. Our TemplerFX Members Area is currently undergoing maintenance, so please don’t worry that you can’t log in at the moment. Our brand new members area will be at your service by 06/06. PLEASE NOTE: All existing TemplerFX members will receive login information and instructions for how to access the members area as soon as it is ready. We are glad to announce that our company has successfully passed the recertification procedure and confirmed the FMRRC Certificate of compliance. The decision to extend the certificate was made by the Committee on Standardization and Certification meeting on 15.05.2016. Please note that services of Rietumu Banka is no more available for citizens of Russia and CIS both for depositing and withdrawal. Our apologies for the temporary inconvenience. For more information please email to billing@templerfx.net. All current and new TemplerFX clients are eligible to take part in TemplerFX's 2016 Spring Bonus Campaign. Qualifying clients earn a 10% bonus credit on all deposits between April 4th 2016 and April 29th 2016 up to a cumulative bonus amount of $15'000 per account( $30'000 per customer). Get an extra +5% (+15% in total) Bonus for bank wires,Fasapay an PerfectMoney deposits , +3%( +13% in total) for WalletOne™ transfers and +2%( +12% in total) for Payment via PayAnyWay™! -new dealing window with open positions list, daily account history and entry point visualization. We are glad to provide you Fasapay as a new instrument for deposits and withdrawals. To make the news even better TemplerFX decided to give you a special offer with the start of this payment system. We will credit +10% Bonus for all Fasapay deposits till 07/03/2016. In our continued efforts to improve our service to you ,TemplerFX would like to take this opportunity to provide you with important information regarding the widening of currency pairs list available for MuslimFX accounts trading. The new instruments list contains 31 currency pairs in comparison with 12 available before. To see all the symbols on MT4, locate the MarketWatch Window. 1.Right click within the window. The other major improvement relates to symbol codes: "-M" postfix will be removed , new MuslimFX currency pairs have no "-M" postfix. All old symbols ( with "-M" postfix, i.e. EURUSD-M, GBPUSD-M, etc) will be traded in "close only" mode from 08/02/2016 and will be removed from Market Watch as soon as all positions are closed. TemplerFX is proud to announce our new webinar series, “Introduction to the Forex Market,” available to all live account holders. This four part webinar series is free for all funded live account holders, and will cover all the information required to begin your trading career. This webinar series is perfect for traders just starting out, and will give you all the pro tools and tips needed to trade with confidence on the world’s largest markets. We will begin with an overview of the forex market, how to use our trading platform, and the basics of different trading strategies and account management tips. Our team will go over how to use the Templer FX MT4 trading platform, covering the basics of opening and closing trades, as well as more advanced topics such as loading EAs and proprietary signals onto your platform. Our webinar will cover basic charting techniques, an overview of some of the most popular trading strategies used today, as well as an overview of the most common indicators. The Webinar will be hosted by Samuel Njunge, a local trader with years of experience at the FX Market, and will also feature Eric Graham, Templer FX’s head of markets based in our London office. Scheduled date and time: 9th,10th,11th and 12th of February, 2016, 17:00 London time/ 20:00 Nairobi time How to enroll ? 2.Open a live account and fund it for at least 25$. If you've already have got a funded account please ignore the step. For more information please reach out to your representative at TemplerFX.